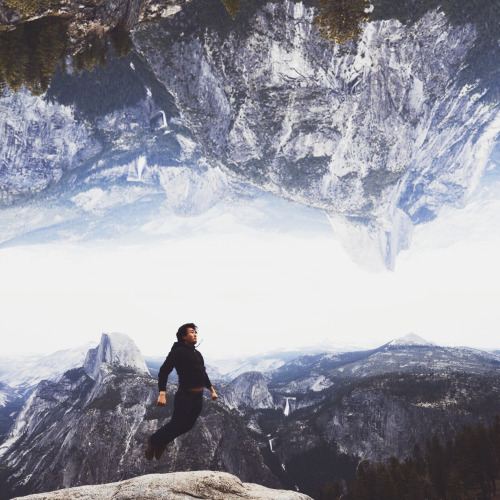 People love making photo collages, and they love posting those collages onto Instagram. The problem has been that up until today, the only way to do that was to use third-party apps such as PicStitch. The popularity of this missing feature did not go unnoticed by Instagram, and today they released their own collage app called Layout from Instagram. When you open Layout, it immediately pulls up your phone’s camera roll and you can select up to nine photos. 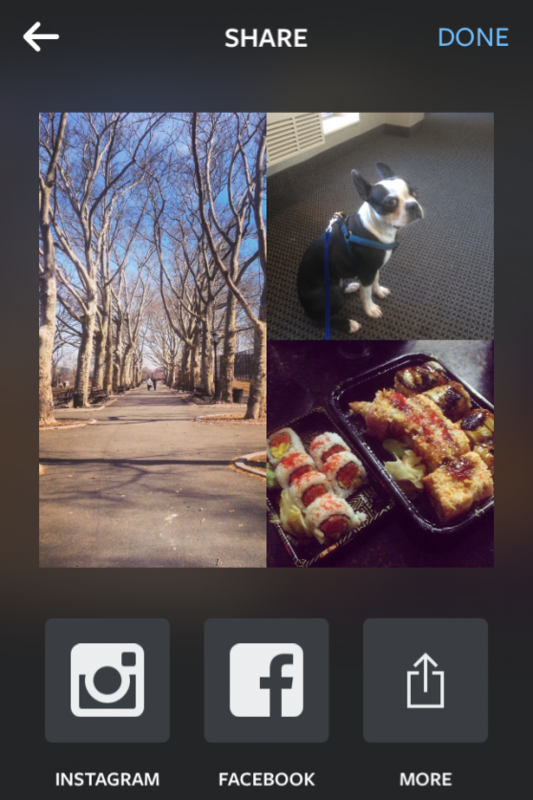 You then select from a scroll of different layouts that the app automatically populates with these photos. You can also use a built-in photo booth option that lets you take timed selfie photos from you camera on the spot. 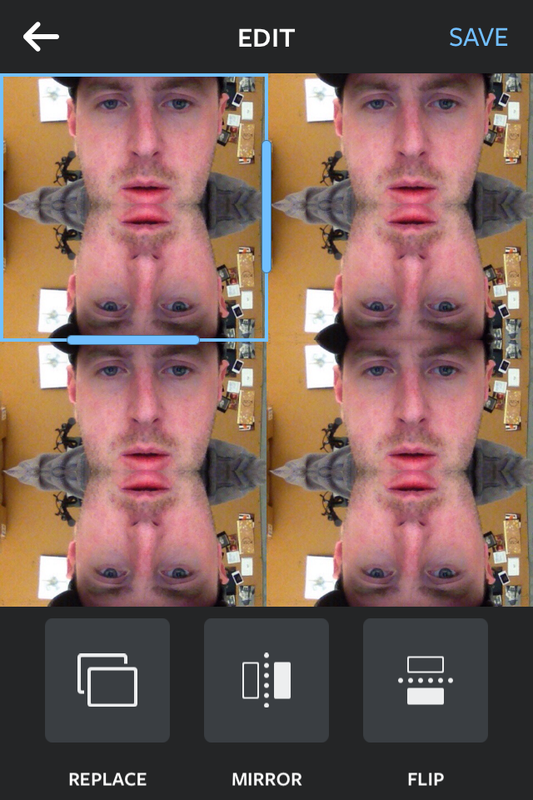 Flip, rearrange and resize any of your frames to your liking and bam… you have a collage. Once you’re finished, the app automatically saves your collage back to your camera roll and gives you the option to share it on Facebook or Instagram, where it takes you automatically to to the editing phase in that app. The whole process is pretty intuitive and streamlined and that’s exactly what Instagram was going for with Layout. While it’s not groundbreaking technology, it is an interesting tool that, when combined with Instagram, can make for some clever and creative compositions. The question I have however, is why was Instagram so slow to integrate this incredibly popular feature in the first place and in such a clunky manner? Additionally, why Layout requires you export the finished collage into your camera roll and then have to import it into Instagram is baffling. Why does it have to save? Why can’t it just send directly? I don’t know about you, but I don’t need these collages cluttering up my camera roll. It might be due to an Apple limitation, but if that was the case, couldn’t this just have been an Instagram addition rather than a new app? Layout from Instagram is currently only available for iOS, but they plan on releasing an Android version in the coming months.